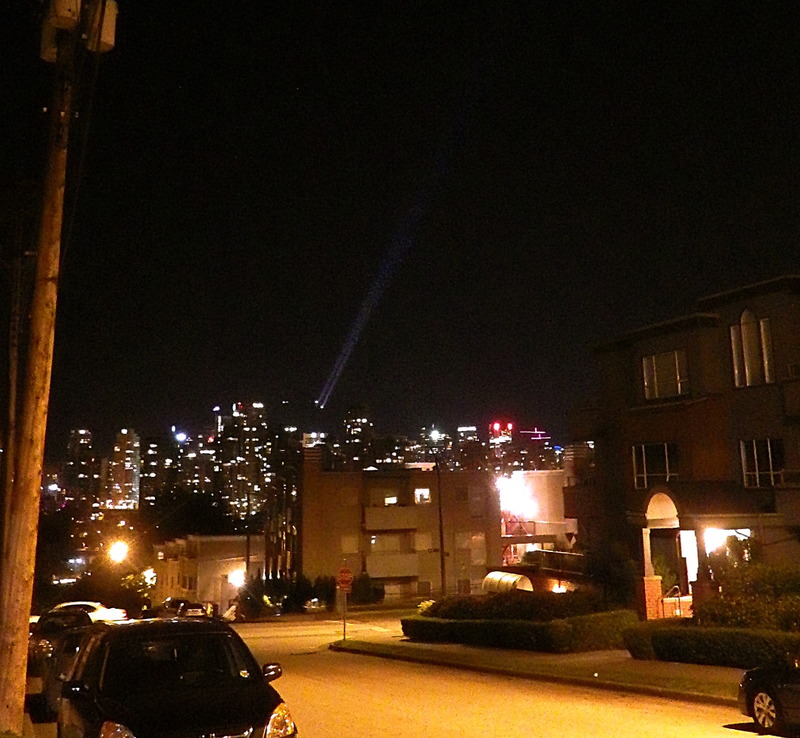 night photography, night sky, North Vancouver, ski resort, spotlights, Vancouver B.C. A long exposure look at last night’s northern sky (even captured some stars). Just 18 minutes into Saturday morning, with sunrise still over five hours away, it was already starting to get light out. Okay…it was just one ray of light but what a ray! — a long, perfectly straight, soft-edged needle stabbing deep into the northern sky from an origin point high up on Grouse Mountain, just on the east side of the clear cut of a ski run. It looked like one beam but it terminated on the North Shore mountain in two bright pin pricks, so it was certainly the combined result of two powerful spotlights. I don’t know why the people running Grouse Mountain were throwing all that electricity into the night sky — the Grouse grind opened for business but that was two days ago on the 7th. But then again, I don’t know why they needed a reason; all the juice probably came from their very own 1.5 megawatt wind turbine known as Eye of the Wind (whew, talk about windy prose!) 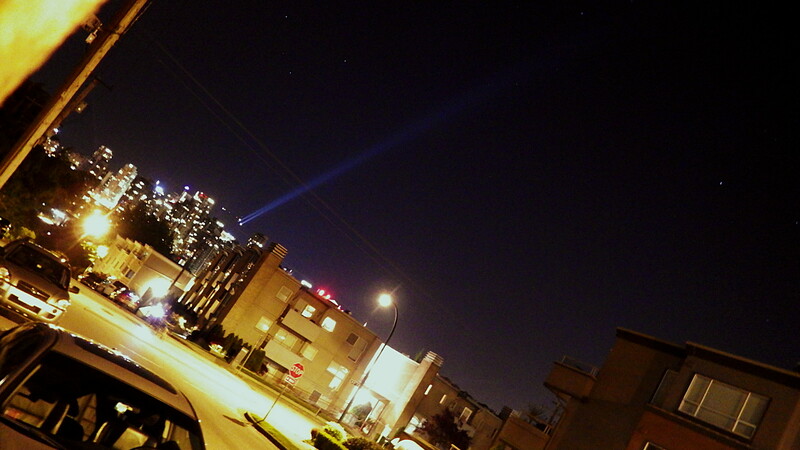 and coincidentally located on the top of the mountain, just about exactly where the beam of light originated. Click the images to enlarge them. Same bright light, different sort of camera exposure.